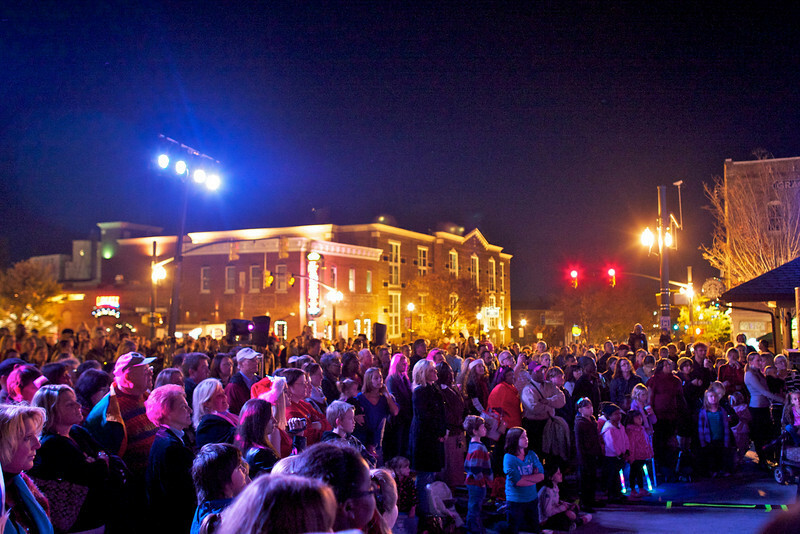 On Thursday, November 20, Motor Supply is excited to support Vista Lights, the free, family-friendly annual holiday street party hosting its 29th occurrence on November 20, 2014, from 5 to 9 p.m.
Vista Lights brings the Columbia, S.C. community together to welcome the holiday season and celebrate mixing and mingling; shopping, dining and drinking at the galleries, shops, restaurants and local businesses that fill the historic Congaree Vista. More than 60 Vista businesses will extend their hours for guests to explore the holiday treasures and specials within. Guests can browse One Eared Cow Glass and Lewis + Clark for live glass-blowing, wine tasting and 20 percent off merchandise; grab a Savannah Cinnamon drink plus discounts at Whit-Ash Furnishings; enjoy Christmas Carols at Regions Bank and get crafty at Studio Cellar. Attendees can even experience a horse-drawn carriage ride, picking up from the South Carolina State Museum and EdVenture Children's Museum. Live music and entertainment will kick off at 6 p.m. on the Vista Lights Stage, on the corner of Lincoln and Gervais Streets, in preparation for the main event: the annual Vista tree lighting by Mayor Steve Benjamin at 7 p.m. This year, guests are encouraged to download the free Congaree Vista Mobile App to their smartphones, tablets or computers. With convenient “Eat,” “Play,” “Stay” and “Work” tabs, the app makes is easier than ever to navigate the celebration – you can even use it to call Motor Supply for reservations. 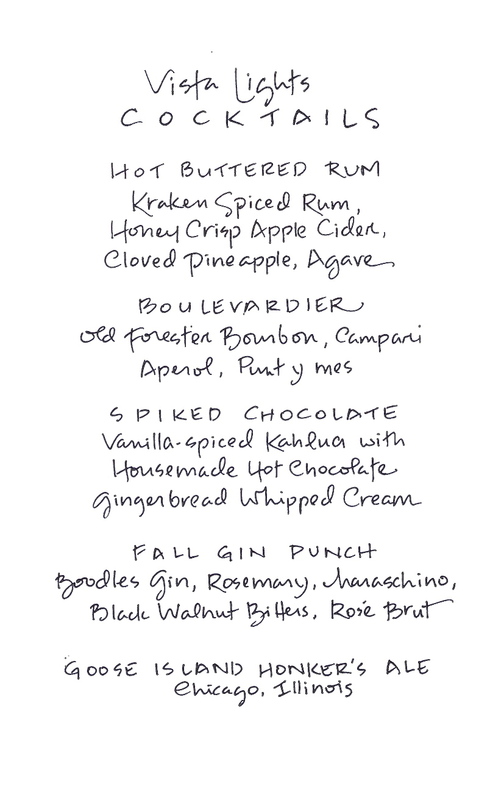 Motor Supply will welcome Vista Lights guests for dinner from 5:30-9:30 p.m. with a specialty Vista Lights cocktail list, below. Reservations are encouraged and can be made online or by calling (803) 256-6687. View the full list of participants and deals, parking details and download the official guide with maps at http://www.vistalightssc.com.